2 Light Pendant In Brushed Nickel This elegant pendant light features a smooth flowing design with metalwork finished in brushed nickel and a beautiful white glass shade. 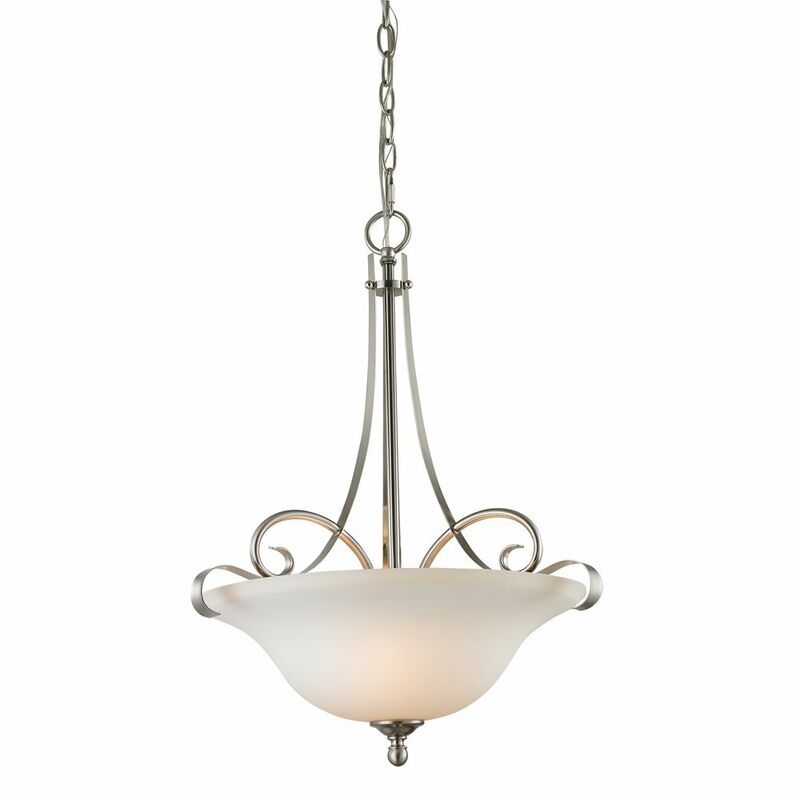 2 Light Pendant In Brushed Nickel is rated 4.0 out of 5 by 1. Rated 4 out of 5 by LKay from The only reason I didn't give this item five stars is because it was not packaged very well and c... The only reason I didn't give this item five stars is because it was not packaged very well and came damaged. Once I received a new undamaged light and had it hung, it looked great!! All the other lights I ordered came very well packaged.